It’s no secret I love porridge. It’s my breakfast of choice 90% of the time. This time, it involves fresh figs that are near and dear to my heart, buckwheat flakes (aka rolled buckwheat) and hazelnuts. Besides the fact that I love it, porridge is a healthy and nutritious breakfast option. It’s a great way to kick start your metabolism in the morning and leave you satiated until your next meal. It’s also easy and versatile. You can make it with virtually any grain/pseudograins/seed and dress it up with dried and/or fresh fruits, nuts, seeds, nut butters and flavourings like vanilla, cinnamon, pumpkin spice or chai spice to name a few. It can be simply made in 5 minutes using quick cooking flakes, or more elaborate using precooked or soaked whole grains. Either way, it’s wholesome and delicious and once you catch the porridge bug, no other breakfast will do. Buckwheat is inherently gluten free and rich in fiber and manganese, a mineral that is said to promote skin integrity and protect against free radicals. Rolled buckwheat is made from whole hulled buckwheat, so the valuable nutritional content of the super seed is retained in the process, but it takes mere minutes to cook up to a creamy consistency making it a wonderful option for porridge. If you really need a reason to eat figs beyond their heavenly taste, then let it be that they are a great source o potassium, vitamin B6, manganese and fiber. 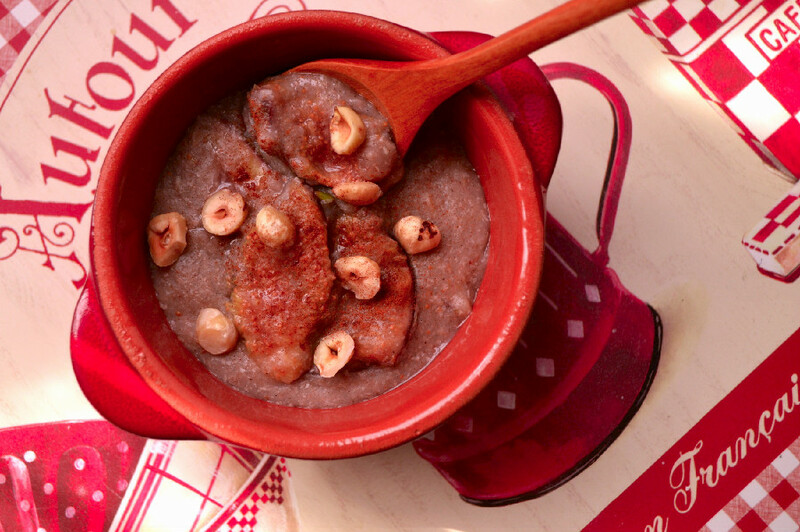 This warm porridge is loaded with the goodness of buckwheat, figs and tasty toasted hazlenuts for a breakfast that will get your metabolism going and leave you satiated until lunch time. Add buckwheat and water to a pot and bring to a boil. As it starts t thicken (about 5 minutes), add cinnamon, vanilla, figs and milk and stir to combine. Continue cooking on low heat until the mixture has thickened to a creamy porridge consistency. 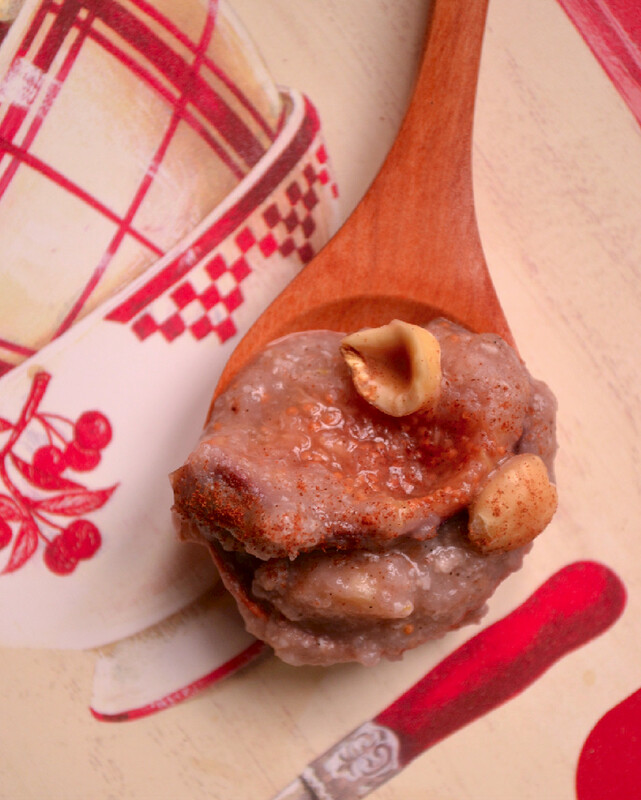 Fold in chopped hazelnuts, then transfer to bowls and top with more chopped hazelnuts and serve hot.